I hope you have all had an amazing weekend, todays post is a review of some new Crown Brush products. I have previously worked with Crown Bush before and I absolutely loved the products they previously sent me, so when they asked if there was anything else of theirs I wanted to try out I was so excited! If you want to read my previous review of Crown Brush products click here. The first item I was sent was the Rose Gold Full Face Contour brush set which retail for £29.99, I was really intrigued by these brushes not only for their beautiful colour but also because the style of brush. These types of brushes have been blowing up in the blogging/Instagram beauty community so I really wanted to try some for myself. I have previously received some Crown Brush brushes and I love them, I use them basically everyday so I had high hopes for these ones. The first thing I noticed when un-packaging them were they are incredibly dense and super soft which I really liked. I used the larger one for my foundation which worked amazingly well it blended my foundation so effortlessly leaving my skin looking flawless, the brush didn't soak up much of my foundation which I was worried they might do. I then used the smaller of the three to blend out my concealer under my eyes which again blended the product like a dream. Finally I used the medium brush to set the concealer under my eyes with loose powder which worked really well too. I can definitely see why people like to use these types of brushes and I think I will be using them on a regular basis! 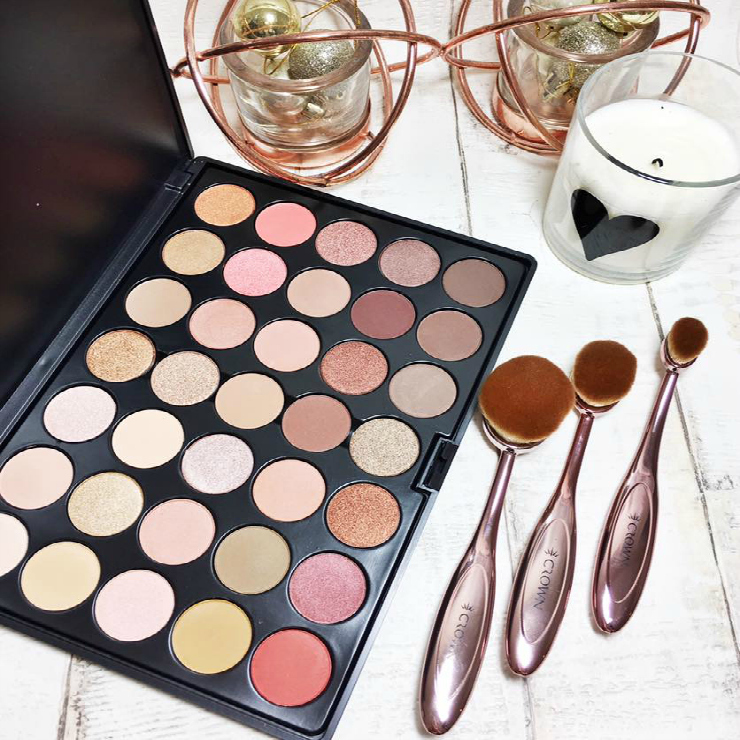 The second product Crown Brush sent me was their 35 colour Rose Gold Eyeshadow Palette, this palette retails for £22.99 which I think is such an amazing price for 35 amazing shades! 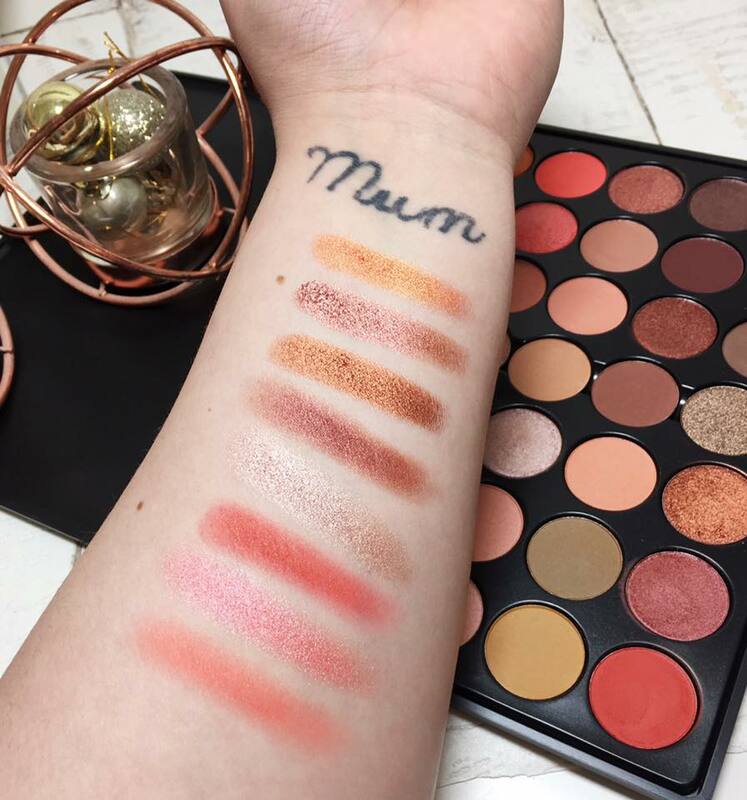 The reason why I chose this palette is because I am really into warm orange/pinky eyeshadows at the moment, this palette has a very Morphe 35O feel to it, I personally don't have the Morphe palette but I think this would be a good dupe for it! I swatched a few of my favourite shades literally as soon as I opened the palette and I can honestly say these shadows are so pigmented and creamy, I don't like describing powder shadows as creamy but thats literally the only way to describe them. The matte shades are just as pigmented and buttery as the shimmer shades which I find is quite rare in an eyeshadow palette. 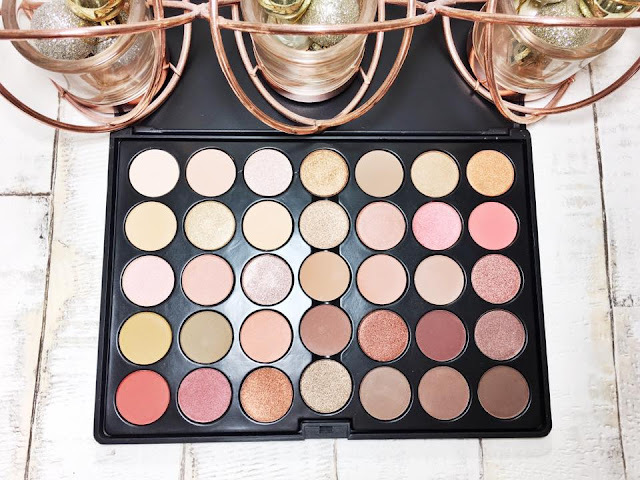 There is such an amazing range of shadows in this palette which gives you the opportunity to create so many stunning looks with just one palette. 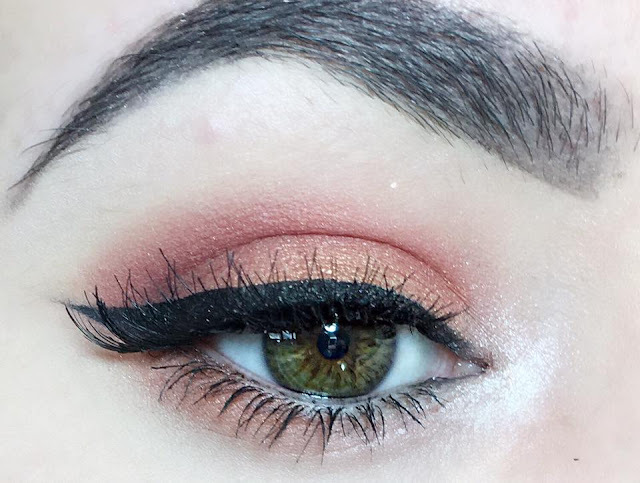 This is the first look I created using this palette and I absolutely love it, I cant wait to see what other looks I can create using this palette. There is a burgundy shade which I really want to use to create a bronzed smoky eye with the burgundy shade on my outer v rather than a black I would usually go for. 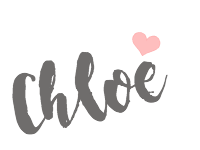 I know for sure I am going to have loads of fun creating different looks using this palette which I will share on my Instagram (@chloedentonxo). You can buy these products individually but you can also purchase them in a set which actually works out cheaper than buying them separately. That's a cute palette. The colours look nice on you! Lovely review! The palette looks absolutely gorgeous and the brushes are dreamy!